Boston, Massachusetts – In addition to ED (Erectile Dysfunction) being troublesome for millions of men nationwide, it is very often a sign of low testosterone levels , as well as serious disease in men. ED has been linked to coronary artery disease and diabetes. Shockingly, ED increases the risk of heart attack and stroke by 45 percent in men. Much the same as smoking and a family history of heart disease, ED is also predictive value for a heart attack. While drugs like Viagra and Cialis can mask the issue as a temporary fix, what many Primary Care Doctors have missed is the diagnosis of the root, or underlying, cause. Low testosterone, poor blood vessels, metabolic health and lifestyle are critical issues to be addressed by doctors. If you are a man of 30 years of age and feel you may be suffering from ED, Low Testosterone, Hypogonadism or Andropause, contact Boston Testosterone Partners today for a consult on how you can get tested and treated for Testosterone Replacement Therapy . Boston Testosterone is a Testosterone Replacement, Wellness and Preventative Medicine Medical Center that treats and prevents the signs and symptoms associated with Andropause and hormone imbalances. With affiliates nationally, Boston Testosterone offers hormone replacement therapy, weight loss protocols, erectile dysfunction (ED), Sermorelin-GHRP2 therapy and neutraceutical injectable therapies for men and women. Their medical facilities offer physician examinations and treatment programs that incorporate the latest in Testosterone Therapy and medical sciences. This report was based on a single blood test of plasma fatty acids in a group of 834 men who were followed up to six years to assess prostate cancer risk (low- and high-grade disease). A smaller group of 75 men was followed up to nine years to assess only high-grade prostate cancer risk. The results showed that slightly higher omega-3 plasma percentages from this single blood test were associated with a greater risk of low-grade ( 44% ) and high-grade ( 71% ) prostate cancers over the multi-year follow-up. Omitted from the media frenzy was the fact that this study was not about fish oil supplement users. The authors admitted they did not know how the study participants achieved what turned out to be very low omega-3 plasma percentages in all groups. In fact, omega-3 plasma levels were only about 40% of what would be expected in health conscious people taking the proper dose of fish oil .12 ,13 The insufficient levels of plasma omega-3s in all the study subjects were overlooked by the media. Had these very low plasma levels of omega-3s been recognized, it would have been apparent that this report had no meaning for those who boost their omega-3 consumption through diet and supplements. Also absent from the reporting was that more men with slightly higher omega-3 plasma levels had confounding risk factors for greater risk of contracting prostate cancer at baseline, such as having higher PSA scores and a positive family history . Although the authors attempted to statistically control (through a statistical model called multivariate analysis) for some of these risk factors in their analysis, the concern remains that the baseline data was confounded and therefore the statistical analysis invalid , and that the reported results are compromised by higher rates of preexisting disease along with a genetic predisposition , not because of the miniscule variance in the amount of their plasma omega-3 . Prostate cancer sharply increases by 120% to 180% in men who have a first-degree relative who had contracted prostate cancer. Nearly double the men who contracted prostate cancer in this study had a positive family history, and although the researchers attempted to statistically control for this confounding factor, this fact was conveniently overlooked by the mainstream media as omega-3s were instead labeled the culprit. Numerous flaws in this report render its findings useless for those who supplement with purified fish oils and follow healthy dietary patterns. This article represents Life Extension®’s initial rebuttal to this spurious attack on omega-3s that was blown out of proportion by the media. An under-recognized risk factor associated with developing prostate cancer is coronary artery disease .17 We at Life Extension long ago observed that men with clogged coronary arteries often developed prostate cancer (and vice versa). A renowned prostate oncologist named Stephen Strum, M.D., made a similar observation and established a common factor behind coronary heart disease and prostate cancer, i.e., bone loss . Coronary artery disease is clearly linked with osteoporosis ,18 as lack of vitamin K prevents calcium from binding to bone and instead allows it to infiltrate and harden the arteries . The ensuing bone loss results in the excessive release of bone-derived growth factors that fuel prostate cancer propagation and metastasis. The reason we bring up the connection of heart disease and prostate cancer is that the authors of the controversial study apparently failed to assess overall baseline health status of the study subjects. We initially suspected that men in the higher group of plasma omega-3 (which turned out to be low by our standards) were more likely to have coronary heart disease. That’s because men with heart disease are told by their cardiologists to eat less red meat and more cold-water fish. So it would not be surprising if the plasma percentage of omega-3 was higher in men with prostate cancer as they may have been trying to eat healthier to avoid bypass surgery or a sudden heart attack. In the report attacking omega-3s, men who contracted prostate cancer had almost double the proportion of first-degree relatives with a history of prostate cancer compared with controls. Although the study authors apparently attempted to control for this baseline risk factor through the use of statistical modeling of selected variables (multivariate analysis), this confounding factor calls into question much of this report’s negative findings, but was not even mentioned in the media’s rush to create headline grabbers. Men with a family history of prostate cancer often have witnessed the long term death spiral that prostate cancer patients suffer through. As a result, they attempt to adapt healthier lifestyles to avoid becoming a victim of their hereditary genes. Since eating well-done red meat has long been associated with increased prostate cancer risk, men with unfavorable family histories are more likely to include at least some cold-water fish in their diets, and therefore have higher omega-3 percentage plasma levels. This does not mean the marginally higher omega-3 caused their prostate cancer. This is partially corroborated with the data from the study participants who did not develop prostate cancer, but had higher plasma percentage levels of pro-inflammatory omega-6 fats. This indicated these individuals had little concern about what they ate since they had about half the family history rate of prostate cancer. Prostate specific antigen (PSA) is a blood marker of prostate disease. Standard laboratory reference ranges often allow PSA to reach 4.0 ng/mL before flagging a potential problem. A more progressive view of the PSA is that any number over 2.4 ng/mL should be viewed with suspicion, with a digital rectal exam performed and a follow-up PSA blood test done in three months. Life Extension has published comprehensive articles about how to properly interpret PSA results, but to state it succinctly: Aging men with PSA readings greater than 2.4 ng/mL are at higher risk for developing clinically relevant prostate cancer and should initiate aggressive steps to reverse the underlying process. In the report that associated higher omega-3 blood levels with increased prostate cancer incidence, 41.1% of the men who went on to develop prostate cancer had baseline PSA readings greater than 3.0 ng/mL. In the group that did not develop prostate cancer, only 7.3% has a PSA baseline reading greater than 3.0 ng/mL. This critical piece of data was ignored in the tabloid-like media articles that erroneously blamed the increase in prostate cancer on omega-3s. Life Extension scientists repeatedly reached out to the authors of the negative report, but did not receive a response as to whether any attempt was made to ascertain the source of the omega-3 in the study subjects’ blood. We wanted to know if these men regularly ate cold-water fish or took at least some fish oil supplements. Despite our requests, no clarification was made available by study authors as to the level of dietary supplementation with fish oil, and if so, the source of fish oil used in the study. Based upon the very low plasma percentage levels of omega-3 fatty acids detected in the study, the implication is that dietary supplementation with fish oil likely did not occur. Instead, based upon the low levels of omega-3 plasma phospholipids detected, the source appears to have been primarily (potentially exclusively) diet only. As we will show soon, it appears that none of the men in this study consumed much in the way of cold-water fish either. You will be shocked to learn how low the average plasma percentages of omega-3 were in all these study subjects, whether they were in the high or low rate of prostate cancer group. Plasma phospholipid testing for fatty acids was used in this study. However, this type of fatty acid testing can vary widely depending upon short-term dietary intake. In contrast, long-term uptake by cells and tissues of the body is far less dependent upon short-term changes in diet. For this reason, erythrocyte (red blood cell) fatty acid indices are far better at evaluating cellular uptake over time as a result of fish ingestion and fish oil supplementation. In a case analysis conducted by Life Extension staff, a healthy diet that included fish but not fish oil supplementation resulted in an omega-3 red blood cell (RBC) equivalence level of 6.06% . However, a standard diet supplemented with 3.6 grams of EPA/DHA from purified fish oil resulted in an omega-3 RBC equivalence level of 10.59% . Thus, compared to what can be achieved with a healthy diet alone, adding a high quality fish oil supplement can nearly double a person’s omega-3 RBC equivalence score, which is consistent with the published literature. 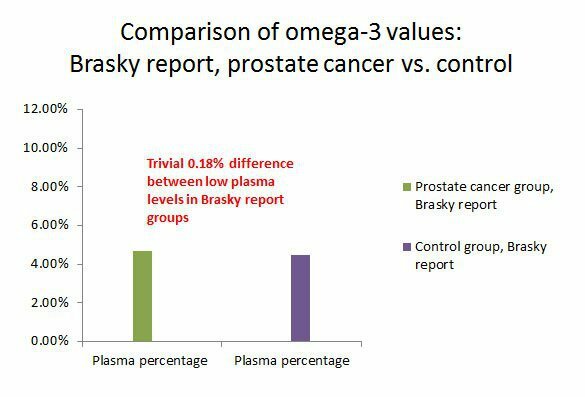 Figure 1: If you can’t see a difference in the two bars showing plasma percentage of omega-3s between men who contracted prostate cancer and those who did not, that’s because there is virtually no difference. The 0.18% variation could have resulted from men eating just a few ounces of fish the night before their one-time baseline blood draw. These low percentages of plasma omega-3s indicate these men were not taking fish oil supplements, nor were they eating much in the way of omega-3-rich foods in their diet. There may be no need to provide any more rebuttal than the numbers posted above. They make it clear that the average subject in their groups were consuming very little cold-water fish and certainly no meaningful fish oil supplement. Their entire study population was so negligible in omega-3 that no relevant correlation can be drawn for health conscious people today choosing omega-3-rich foods (like cold-water fish) and high-potency fish oil supplements. Yet based on this study of men who consumed relatively no omega-3s, frenzied news reporters were advising the public to stop eating cold-water fish and avoid omega-3 supplements. When reading the frantic news reports, you would have thought the omega-3 difference in men with up to 71% increased risk of prostate cancer must have been huge . At Life Extension , our very first reaction was that the researchers were comparing cardiac patients who gobbled down huge amounts of fish oil supplements to normal individuals who consume relatively little omega-3s. Our initial assumption was that since heart disease patients have higher prostate cancer rates, then that would explain why higher omega-3 could be mistakenly associated with increased prostate cancer risk, since heart disease patients are known to consistently take high-potencies of omega-3s through diet and supplements. How wrong our early conjecture was! It turns out that the differences in omega-3 plasma phospholipid levels between groups were slight. In fact they were so close that we at Life Extension would classify them all as being too narrow to extrapolate meaningful data. Our goal is to get the red blood cell (RBC) omega-3 index values in Life Extension members to 8%-11% as this level was shown to offer the greatest protection against sudden myocardial infarction, yet the average quartile for plasma long-chain omega-3 fatty acids in the prostate cancer cases in the report associating fish oil with prostate cancer was only 4.66% . Now look how narrow the difference is between men with higher prostate cancer rates. In the group whose average baseline blood draw showed 4.48% plasma long-chain omega-3 fatty acids, there was no increased prostate cancer risk. But if the omega-3 percentage average went up to 4.66% (about 1/5 of one percent), prostate cancer rates skyrocketed, according to the report’s authors. We’re talking here of a difference of 0.18% in the percentage of plasma omega-3 fatty acids that supposedly caused a 43% to 71% increase in prostate cancer incidence. Dedicated fish oil supplement users, on the other hand have over 100% higher omega-3 levels than seen in this study of men who apparently consumed little cold-water fish and no omega-3 supplements. To put this into real-world perspective, the trivial difference ( 0.18% ) in plasma omega-3 between men with no prostate cancer and those with prostate cancer could occur if a man ate just a few ounces of a cold-water fish like salmon the night before. Remember, plasma phospholipid testing for fatty acids was used in this study. However, this type of fatty acid testing can vary widely depending upon short-term dietary intake. In contrast, long-term uptake by cells and tissues of the body is far less dependent upon short-term changes in diet. For this reason, the omega-3 RBC equivalence score is far better at evaluating cellular uptake over time as a result of fish ingestion and fish oil supplementation. There was only one baseline blood draw. The men were followed up to six years (low-grade and high-grade cancer), with a smaller group followed up to nine years to see who would get high-grade prostate cancer. Those who developed prostate cancer were then compared against their baseline blood draw done years earlier. This kind of methodology is open to misinterpretation and errors even if there were large variances in omega-3 fatty acid percentages, but the 0.18% difference is so tiny that it has no relevance to aging humans who choose to include omega-3-rich foods in their diet and supplement with fish oil. This may be the first study that seeks to discredit a food/supplement (i.e., omega-3s), where the human subjects were not even taking a fish oil supplement nor ingesting significant amounts of an omega-3 food. A 0.18% difference in plasma omega-3 fatty acids between men who contracted prostate cancer and those who did not is infinitesimally small. To extrapolate a conclusion from this very small difference that eating fish or taking fish oil supplements is risky, false, misleading, and meaningless … but it did generate a lot of news headlines. Life Extension is concerned that some men will decrease consumption of omega-3s resulting in a devastating increase of their triglycerides, thrombotic, inflammatory and atherogenic risks. An epidemic of coronary artery blockage and ischemic stroke will soon follow. A fundamental aspect of quality research is consistency, and repeatability. Stated another way, for a medical finding to be considered valid, the results should not contradict well-established facts involving known biology, physiology, biochemistry, etc. Furthermore, the finding should be repeatable by other scientists. The report attacking omega-3s is inconsistent with a variety of aspects of the well-established scientific and medical literature. For example, upon close inspection of the data (and not simply a top-line, parroted response by the mainstream media eager to generate headlines), non-smokers had more aggressive prostate cancer, and non-drinkers (alcohol) had higher risk of prostate cancer, and prostate cancer case subjects were less likely to report a history of diabetes than controls. Based upon these results, the implication is that men who wish to avoid prostate cancer should consume excess calories and develop diabetes, drink alcohol heavily, and abuse tobacco. This is completely inconsistent with well-established science, and utter nonsense. In fact, numerous scientific studies show fish oil omega-3 fatty acids offer significant protective benefit for prostate health. 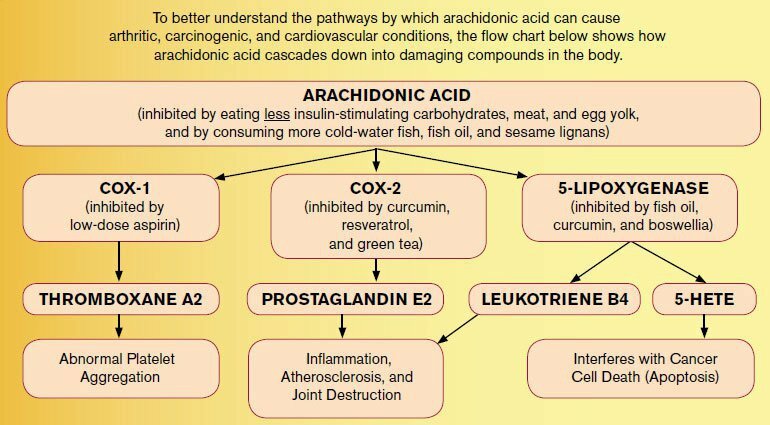 To ascertain what occurs after dietary fatty acids are consumed, the biochemical pathway for fatty acid metabolism provides the answers. For example, let us assume that for dinner, you eat a steak (a source of saturated fat, as well as arachidonic acid) and a salad, along with a typical salad dressing rich in linoleic acid, an omega-6 fat (e.g., safflower oil). In contrast with the misinterpreted results presented in this report of men who were not consuming significant amounts of omega-3s, many other clinical studies indicate substantial benefit with omega-3 fatty acid intake in prostate cancer. The report attacking omega-3s conflicts with prior studies demonstrating that increased intake of omega-3 fats has been shown to reduce prostate cancer risk and diets high in omega-6 fats are associated with greater risk. The analysis also suggests a relationship between increased omega-6 fatty acid levels and decreased risk of prostate cancer, which is, again, utterly inconsistent with the known pro-inflammatory effects of omega-6 fatty acids. In addition to the clinical trial literature indicating consistent benefits with omega-3 fatty acid intake, traditional Japanese and Mediterranean diets rich in omega-3 fatty acids show a strong, consistent risk reduction in prostate cancer vs. Western diets rich in omega-6 and saturated fat. The results set forth by authors of the negative report on fish oil that omega-3 intake may be linked to prostate cancer are inconsistent, and in abject contrast, to longstanding evidence that diets high in marine lipids, such as the traditional Japanese diet and the Mediterranean diet, are protective against prostate cancer. For example, the traditional Japanese diet, rich in omega-3 fatty acids from fish, confers protection against prostate cancer, as does the relatively high intake of fermented soy products and relatively low levels of saturated fat.45 The characteristics of the traditional Japanese diet high in soybean products, high in fish, and low in red meat are highly relevant in prostate cancer biology. In all likelihood, the traditional Japanese diet reduces the risk of prostate cancer through a combination of characteristics that generate a synergistic, anti-cancer effect (on prostate cancer). Overwhelming evidence currently available strongly favors fish oil supplementation for most aging humans. Will this Flawed Report Prompt an Epidemic of Prostate Cancer? Regrettably, the public is poorly served by relying on a sound-bite frenzied news media for health data, which often involves parading a provocative medical headline without a deep, thorough evaluation of the study’s validity. This “science by ambush” denies an opportunity for meaningful rebuttal, since the media never wants to admit last week’s headline news story was bogus. The average percentage difference ( 0.18% ) of plasma long-chain omega-3 fatty acids from a single baseline test renders this study meaningless. The authors don’t even know if their study subjects were eating fish or taking fish oil supplements. We at Life Extension have criticized certain studies that solely rely on food questionnaires, but this attack on omega-3s didn’t even attempt to ascertain if study subjects were ingesting the nutrient (omega-3s) in question. Yet its authors presumptuously warn of potential risks in consuming supplemental omega-3s! The lack of rigor, as well as multiple layers of methodological problems and errors, notwithstanding the complete lack of consistency with the known, well-established biology and biochemistry of prostate cancer should prompt outrage in the scientific and medical community. The danger of this deeply flawed, compromised analysis is that aging men obtaining health information through the mainstream media will cease omega-3 fatty acid ingestion. The consequences may be profound if aging men shun omega-3 fatty acid supplementation as a result of this flawed study and follows its implied recommendations to consume more omega-6 fats, which enhance inflammation and create a better environment for prostate cancer, as well as cardiovascular disease to flourish. Although the researchers attempted to statistically model (through multivariate analysis) and control for some (but not all) critical, confounding risk factors like family history, the higher baseline PSA readings (implying more preexisting cancers) and positive family history (1st degree male relative with prostate cancer) in men who went on to develop prostate cancer raise concerns for the integrity of the analysis results. Along with these confounding factors, the marginal difference in baseline plasma omega-3 levels of men who later developed prostate cancer cannot rationally implicate omega-3s as having a causal or causative effect. The plasma omega-3 levels of the entire study group showed consumption of omega-3 from food was inadequate and intake of meaningful fish oil supplementation non-existent. Educated health consumers should continue to ingest omega-3 fatty acids. This report will be updated as more of Life Extension ’s scientific advisors provide their input. Szymanski KM, Wheeler DC, Mucci LA. Fish consumption and prostate cancer risk: a review and meta-analysis. The American journal of clinical nutrition. Nov 2010;92(5):1223-1233. Leitzmann MF, Stampfer MJ, Michaud DS, et al. Dietary intake of n-3 and n-6 fatty acids and the risk of prostate cancer. The American journal of clinical nutrition. Jul 2004;80(1):204-216. Chavarro JE, Stampfer MJ, Li H, Campos H, Kurth T, Ma J. A prospective study of polyunsaturated fatty acid levels in blood and prostate cancer risk. Cancer epidemiology, biomarkers & prevention : a publication of the American Association for Cancer Research, cosponsored by the American Society of Preventive Oncology. Jul 2007;16(7):1364-1370. Bosire C, Stampfer MJ, Subar AF, et al. Index-based dietary patterns and the risk of prostate cancer in the NIH-AARP diet and health study. American journal of epidemiology. Mar 15 2013;177(6):504-513. Epstein MM, Kasperzyk JL, Mucci LA, et al. Dietary fatty acid intake and prostate cancer survival in Orebro County, Sweden. American journal of epidemiology. Aug 1 2012;176(3):240-252. Williams CD, Whitley BM, Hoyo C, et al. A high ratio of dietary n-6/n-3 polyunsaturated fatty acids is associated with increased risk of prostate cancer. Nutrition research (New York, N.Y.). Jan 2011;31(1):1-8. Norrish AE, Skeaff CM, Arribas GL, Sharpe SJ, Jackson RT. Prostate cancer risk and consumption of fish oils: a dietary biomarker-based case-control study. British journal of cancer. Dec 1999;81(7):1238-1242. Yang YJ, Lee SH, Hong SJ, Chung BC. Comparison of fatty acid profiles in the serum of patients with prostate cancer and benign prostatic hyperplasia. Clinical biochemistry. Aug 1999;32(6):405-409. Astorg P. Dietary N-6 and N-3 polyunsaturated fatty acids and prostate cancer risk: a review of epidemiological and experimental evidence. Cancer causes & control : CCC. May 2004;15(4):367-386. Augustsson K, Michaud DS, Rimm EB, et al. A prospective study of intake of fish and marine fatty acids and prostate cancer. Cancer epidemiology, biomarkers & prevention : a publication of the American Association for Cancer Research, cosponsored by the American Society of Preventive Oncology. Jan 2003;12(1):64-67. Aronson WJ, Kobayashi N, Barnard RJ, et al. Phase II prospective randomized trial of a low-fat diet with fish oil supplementation in men undergoing radical prostatectomy. Cancer prevention research (Philadelphia, Pa.). Dec 2011;4(12):2062-2071. Brasky TM, Darke AK, Song X, et al. Plasma Phospholipid Fatty Acids and Prostate Cancer Risk in the SELECT Trial. Journal of the National Cancer Institute. Jul 10 2013. Cao J, Schwichtenberg KA, Hanson NQ, Tsai MY. Incorporation and clearance of omega-3 fatty acids in erythrocyte membranes and plasma phospholipids. Clinical chemistry. Dec 2006;52(12):2265-2272. Harris W. et al. Comparative effects of an acute dose of fish oil on omega-3 fatty acid levels in red blood cells versus plasma: Implications for clinical utility. Journal of Clinical Lipidology, 5/9/2013. American Cancer Society. Available at: http://www.cancer.org/cancer/prostatecancer/detailedguide/prostate-cancer-risk-factors . Accessed 7/15/2013. University of Maryland Medical Center. Prostate cancer. Available at: http://umm.edu/health/medical/altmed/condition/prostate-cancer Accessed 7/15/2013. Thomas JA, 2nd, Gerber L, Banez LL, et al. Prostate cancer risk in men with baseline history of coronary artery disease: results from the REDUCE Study. Cancer epidemiology, biomarkers & prevention : a publication of the American Association for Cancer Research, cosponsored by the American Society of Preventive Oncology. Apr 2012;21(4):576-581. Farhat G. et al. The link between osteoporosis and cardiovascular disease. Clin Cases Miner Bone Metab. 2008 Jan-Apr; 5(1): 19–34. Bruner DW, Moore D, Parlanti A, Dorgan J, Engstrom P. Relative risk of prostate cancer for men with affected relatives: systematic review and meta-analysis. International journal of cancer. Journal international du cancer. Dec 10 2003;107(5):797-803. Chinni SR, Li Y, Upadhyay S, Koppolu PK, Sarkar FH. Indole-3-carbinol (I3C) induced cell growth inhibition, G1 cell cycle arrest and apoptosis in prostate cancer cells. Oncogene. May 24 2001;20(23):2927-2936. Cohen JH, Kristal AR, Stanford JL. Fruit and vegetable intakes and prostate cancer risk. Journal of the National Cancer Institute. Jan 5 2000;92(1):61-68. Morgentaler A. Testosterone For Life. New York, NY: McGraw-Hill; 2008. Vijayakumar S, Mehta RR, Boerner PS, Packianathan S, Mehta RG. Clinical trials involving vitamin D analogs in prostate cancer. Cancer journal (Sudbury, Mass.). Sep-Oct 2005;11(5):362-373. Lou YR, Qiao S, Talonpoika R, Syvala H, Tuohimaa P. The role of Vitamin D3 metabolism in prostate cancer. The Journal of steroid biochemistry and molecular biology. Nov 2004;92(4):317-325. John EM, Schwartz GG, Koo J, Van Den Berg D, Ingles SA. Sun exposure, vitamin D receptor gene polymorphisms, and risk of advanced prostate cancer. Cancer research. Jun 15 2005;65(12):5470-5479. Ben Sahra I, Laurent K, Giuliano S, et al. Targeting cancer cell metabolism: the combination of metformin and 2-deoxyglucose induces p53-dependent apoptosis in prostate cancer cells. Cancer research. Mar 15 2010;70(6):2465-2475. Teiten MH, Gaascht F, Eifes S, Dicato M, Diederich M. Chemopreventive potential of curcumin in prostate cancer. Genes & nutrition. Mar 2010;5(1):61-74. Piantino CB, Salvadori FA, Ayres PP, et al. An evaluation of the anti-neoplastic activity of curcumin in prostate cancer cell lines. International braz j urol : official journal of the Brazilian Society of Urology. May-Jun 2009;35(3):354-360; discussion 361. Newcomer LM, King IB, Wicklund KG, Stanford JL. The association of fatty acids with prostate cancer risk. The Prostate. Jun 1 2001;47(4):262-268. Niclis C, Diaz Mdel P, Eynard AR, Roman MD, La Vecchia C. Dietary habits and prostate cancer prevention: a review of observational studies by focusing on South America. Nutrition and cancer. 2012;64(1):23-33. Hassan S, Carraway RE. Involvement of arachidonic acid metabolism and EGF receptor in neurotensin-induced prostate cancer PC3 cell growth. Regulatory peptides. Jan 15 2006;133(1-3):105-114. Moretti RM, Montagnani Marelli M, Sala A, Motta M, Limonta P. Activation of the orphan nuclear receptor RORalpha counteracts the proliferative effect of fatty acids on prostate cancer cells: crucial role of 5-lipoxygenase. International journal of cancer. Journal international du cancer. Oct 20 2004;112(1):87-93. Matsuyama M, Yoshimura R, Mitsuhashi M, et al. Expression of lipoxygenase in human prostate cancer and growth reduction by its inhibitors. International journal of oncology. Apr 2004;24(4):821-827. Gupta S, Srivastava M, Ahmad N, Sakamoto K, Bostwick DG, Mukhtar H. Lipoxygenase-5 is overexpressed in prostate adenocarcinoma. Cancer. Feb 15 2001;91(4):737-743. Ghosh J, Myers CE. Arachidonic acid stimulates prostate cancer cell growth: critical role of 5-lipoxygenase. Biochemical and biophysical research communications. Jun 18 1997;235(2):418-423. Gao X, Grignon DJ, Chbihi T, et al. Elevated 12-lipoxygenase mRNA expression correlates with advanced stage and poor differentiation of human prostate cancer. Urology. Aug 1995;46(2):227-237. Sundaram S, Ghosh J. Expression of 5-oxoETE receptor in prostate cancer cells: critical role in survival. Biochemical and biophysical research communications. Jan 6 2006;339(1):93-98. Myers CE, Ghosh J. Lipoxygenase inhibition in prostate cancer. European urology. 1999;35(5-6):395-398. Helgadottir A, Manolescu A, Thorleifsson G, et al. The gene encoding 5-lipoxygenase activating protein confers risk of myocardial infarction and stroke. Nature genetics. Mar 2004;36(3):233-239. Poff CD, Balazy M. Drugs that target lipoxygenases and leukotrienes as emerging therapies for asthma and cancer. Current drug targets. Inflammation and allergy. Mar 2004;3(1):19-33. Crooks SW, Bayley DL, Hill SL, Stockley RA. Bronchial inflammation in acute bacterial exacerbations of chronic bronchitis: the role of leukotriene B4. The European respiratory journal. Feb 2000;15(2):274-280. Adam O, Beringer C, Kless T, et al. Anti-inflammatory effects of a low arachidonic acid diet and fish oil in patients with rheumatoid arthritis. Rheumatology international. Jan 2003;23(1):27-36. Kristal AR, Arnold KB, Neuhouser ML, et al. Diet, supplement use, and prostate cancer risk: results from the prostate cancer prevention trial. American journal of epidemiology. Sep 1 2010;172(5):566-577. Ritch CR, Brendler CB, Wan RL, Pickett KE, Sokoloff MH. Relationship of erythrocyte membrane polyunsaturated fatty acids and prostate-specific antigen levels in Jamaican men. BJU international. Jun 2004;93(9):1211-1215. Mori M, Masumori N, Fukuta F, et al. Traditional Japanese diet and prostate cancer. Molecular nutrition & food research. Feb 2009;53(2):191-200. Ferris-Tortajada J, Berbel-Tornero O, Garcia-Castell J, Ortega-Garcia JA, Lopez-Andreu JA. [Dietetic factors associated with prostate cancer: protective effects of Mediterranean diet]. Actas urologicas espanolas. Apr 2012;36(4):239-245. Singh RB, Niaz MA, Sharma JP, Kumar R, Rastogi V, Moshiri M. Randomized, double-blind, placebo-controlled trial of fish oil and mustard oil in patients with suspected acute myocardial infarction: the Indian experiment of infarct survival–4. Cardiovascular drugs and therapy / sponsored by the International Society of Cardiovascular Pharmacotherapy. Jul 1997;11(3):485-491. Yokoyama M, Origasa H, Matsuzaki M, et al. Effects of eicosapentaenoic acid on major coronary events in hypercholesterolaemic patients (JELIS): a randomised open-label, blinded endpoint analysis. Lancet. Mar 31 2007;369(9567):1090-1098. Svensson M, Schmidt EB, Jorgensen KA, Christensen JH. N-3 fatty acids as secondary prevention against cardiovascular events in patients who undergo chronic hemodialysis: a randomized, placebo-controlled intervention trial. Clinical journal of the American Society of Nephrology : CJASN. Jul 2006;1(4):780-786.
von Schacky C, Angerer P, Kothny W, Theisen K, Mudra H. The effect of dietary omega-3 fatty acids on coronary atherosclerosis. A randomized, double-blind, placebo-controlled trial. Annals of internal medicine. Apr 6 1999;130(7):554-562. Geleijnse JM, Giltay EJ, Grobbee DE, Donders AR, Kok FJ. Blood pressure response to fish oil supplementation: metaregression analysis of randomized trials. Journal of hypertension. Aug 2002;20(8):1493-1499. Schiano V, Laurenzano E, Brevetti G, et al. Omega-3 polyunsaturated fatty acid in peripheral arterial disease: effect on lipid pattern, disease severity, inflammation profile, and endothelial function. Clinical nutrition (Edinburgh, Scotland). Apr 2008;27(2):241-247. Marchioli R, Barzi F, Bomba E, et al. Early protection against sudden death by n-3 polyunsaturated fatty acids after myocardial infarction: time-course analysis of the results of the Gruppo Italiano per lo Studio della Sopravvivenza nell’Infarto Miocardico (GISSI)-Prevenzione. Circulation. Apr 23 2002;105(16):1897-1903. Efficacy of n-3 polyunsaturated fatty acids and feasibility of optimizing preventive strategies in patients at high cardiovascular risk: rationale, design and baseline characteristics of the Rischio and Prevenzione study, a large randomised trial in general practice. Trials. 2010;11:68. Burr ML, Fehily AM, Gilbert JF, et al. Effects of changes in fat, fish, and fibre intakes on death and myocardial reinfarction: diet and reinfarction trial (DART). Lancet. Sep 30 1989;2(8666):757-761. Zhao YT, Chen Q, Sun YX, et al. Prevention of sudden cardiac death with omega-3 fatty acids in patients with coronary heart disease: a meta-analysis of randomized controlled trials. Annals of medicine. 2009;41(4):301-310. Marik PE, Varon J. Omega-3 dietary supplements and the risk of cardiovascular events: a systematic review. Clinical cardiology. Jul 2009;32(7):365-372. Leon H, Shibata MC, Sivakumaran S, Dorgan M, Chatterley T, Tsuyuki RT. Effect of fish oil on arrhythmias and mortality: systematic review. BMJ (Clinical research ed.). 2008;337:a2931. Bucher HC, Hengstler P, Schindler C, Meier G. N-3 polyunsaturated fatty acids in coronary heart disease: a meta-analysis of randomized controlled trials. The American journal of medicine. Mar 2002;112(4):298-304.